Singer Kid Rock is apparently planning a run for U.S. Senate in Michigan. The performer, whose real name is Robert Ritchie, confirmed Wednesday afternoon that a campaign website in his name is legitimate. The site already offers campaign merchandise for sale, including yard signs, T-shirts, hats and bumper stickers. He posted on Facebook: "I have had a ton of emails and texts asking me if this website is real... kidrockforsenate.com The answer is an absolute YES. 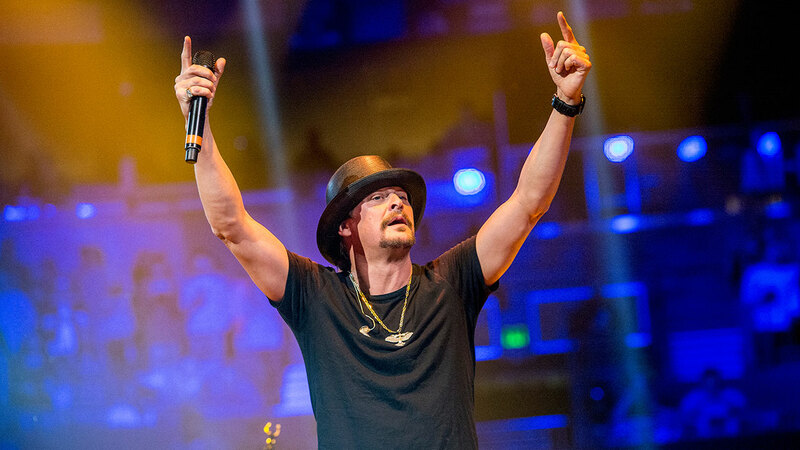 Stay tuned, I will have a major announcement in the near future - Kid Rock"
Rock, 46, has sold some 35 million albums worldwide over his 27-year career, performing a mix of rap, hip hop, rock and country music. His website does not specify where he plans to run for Senate or his political affiliation, but he lives outside Detroit and has long espoused Republican as well as libertarian viewpoints. He also supported Mitt Romney in 2012 and Donald Trump in last year's election. Michigan Republican officials say they have not heard from the singer, according to ABC News. The incumbent Democrat, Sen. Debbie Stabenow is up for re-election in 2018.